Curling irons and hot rollers are great ways to get quick curls, but repeated heat styling can be tough on delicate or damaged hair. 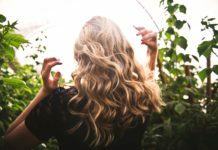 If you’re looking for no heat curls that look voluminous and defined, we’ve gathered 25 of the best methods you can use to curl your hair without heat. Most can be easily slept on overnight, allowing you to wake up in the morning just minutes away from ready to go curls! 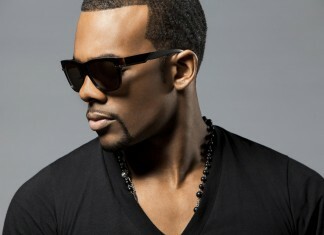 The flat twist out is a clasic way to create defined curls in your natural hair without the use of damaging heat. You can begin by working with damp hair or dry hair that’s been stretched, depending on your specific texture. 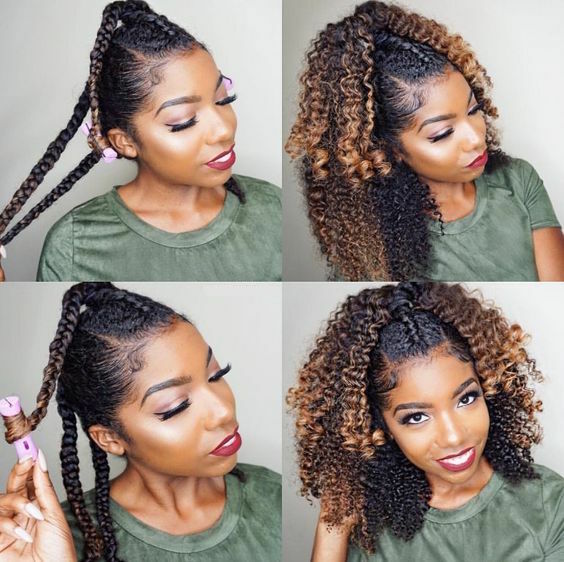 Apply a moisturizer beforehand, then two-strand twist hair, adding hair in to one section as you go, creating a twist that’s attached to the head. Continue two strand twisting until you’ve reached your ends. Sleep on twists, and unravel in the morning to reveal gorgeous curls that are more defined than a regular twist out method. 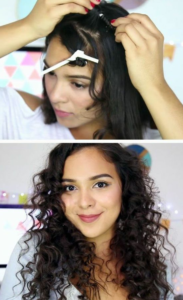 How to get heatless curls on straight hair, you ask? If you’ve got straight hair that’s on the thinner side, all you need is a headband to make these no heat curls come to life. Work with damp hair and twist hair around itself in one-inch sections, then wrap each piece fully around the headband. Use pins to hold in place if needed, and sleep on protected hair overnight. These no heat beach waves are incredibly easy, and more do-able for women with thicker hair. Part damp hair down the middle and divide into two sections, gathering each one behind the ear. 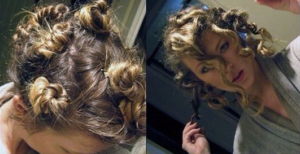 Tightly twist each section down to the ends, then wrap over the top of the head like a milkmaid braid and pin in place. 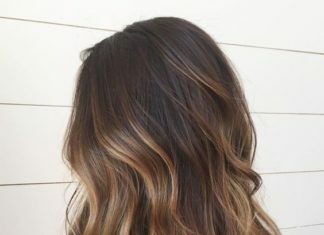 Once hair is dry you’ll have perfect beachy waves even if you’re miles from the ocean. 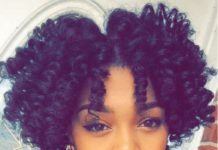 Bantu knots can give you gorgeous next-day spiral curls. Twist sections of damp or stretched dry hair, then coil into bantu knots and secure. 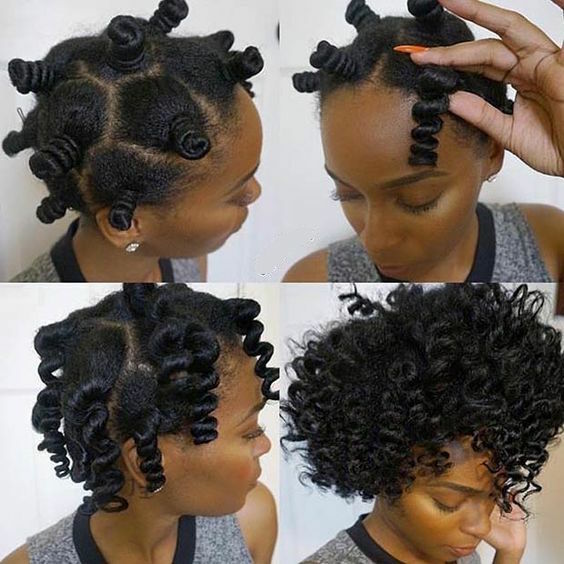 Wear your bantu knots for one day and overnight to ensure they’ve fully dried, then unravel the next day to get beautifully defined curls. 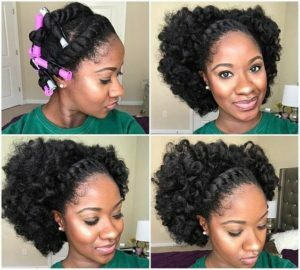 Flexi rods are specifically designed for creating curls, and investing in a set is worth it for fans of DIY and heatless curls. These big curls are created by twisting fairly thick sections of hair around large flexi rods (7/8″ is a good choice for big body waves). 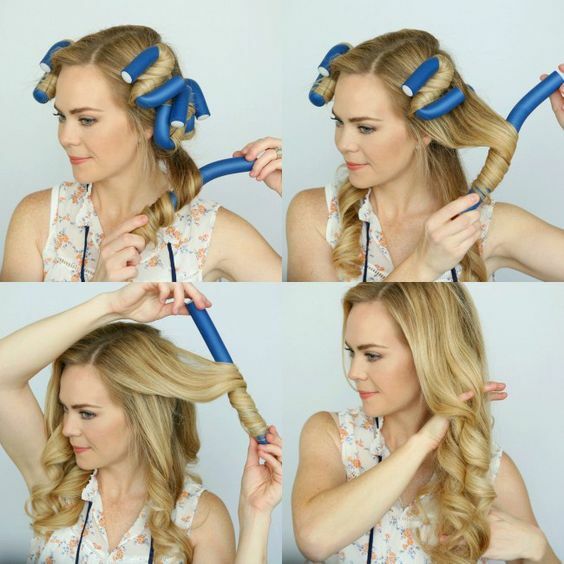 Like the name suggests, these rods can be easily bent into position to keep hair secured, and are just as easy to take out once your curls have set. 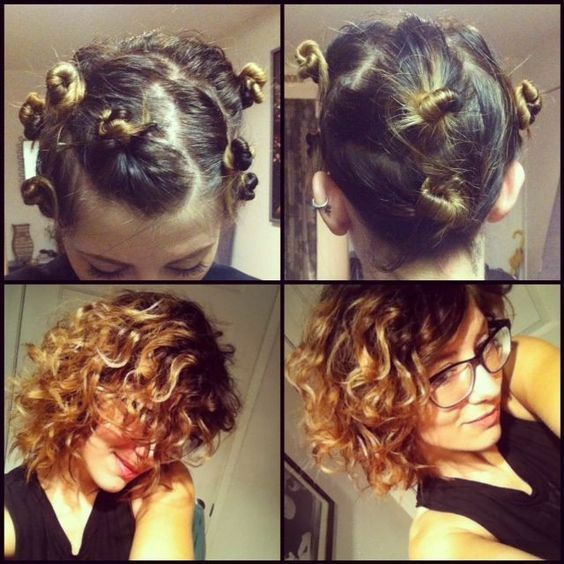 If you want to create a faux hawk with tons of volume, use perm rods to set your hair in bouncy curls. To get this perfect bouncy faux hawk, tie your hair in three or four sections running down the middle of your head, then spray the loose ends of these sections with water and set in perm rods. Sleep on rods overnight or set them in the morning if you’re prepping for an evening look. 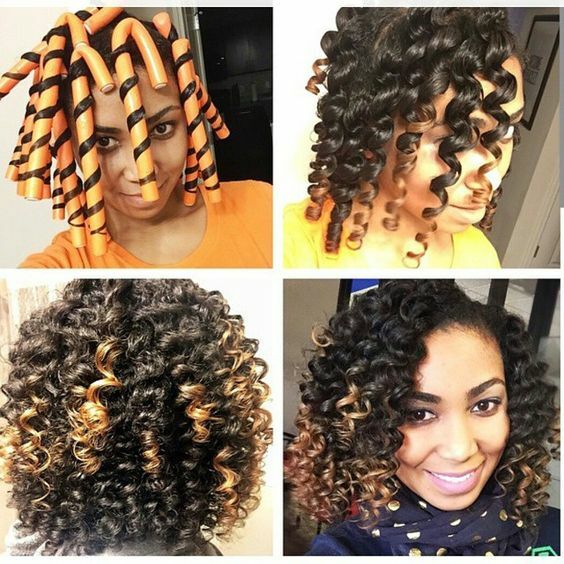 These no heat spiral curls are actually created with plastic straws! Take very thin sections of hair (half an inch in diameter at the most) and roll up in a plastic straw all the way to the roots. You can then secure the straw by tying it in a knot. Repeat until your whole head is secured in straws. This will take a bit of time if you’ve got long or thick hair, but these voluminous spiral curls are totally worth the effort! 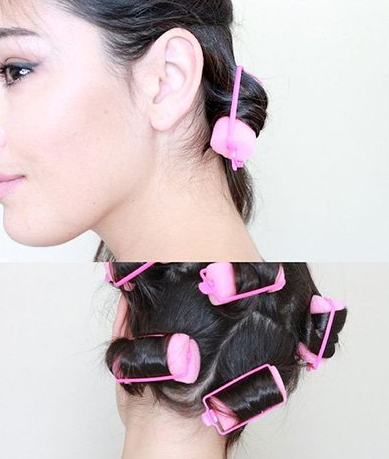 You may not have worn sponge rollers since you were a kid, but they’re a great way to set no heat styles in a pinch. If you don’t like fumbling with pins or tying a million strips of material together, sponge rollers are easy, convenient, and re-usable! 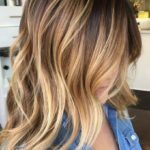 Shorter hair can be tough to curl whether you’re using heat or not. 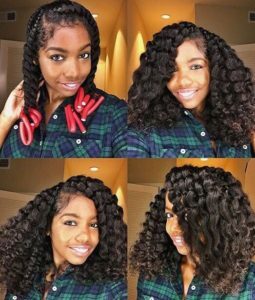 These mini twists are great for creating sassy curls on bob length hair that won’t damage delicate strands that you’re trying to grow out. 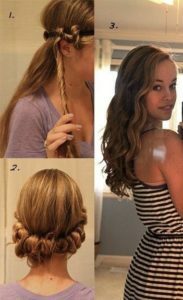 Twist sections of damp hair and tightly ravel into buns, then leave until fully dry and unravel for fun, springy curls. Use standard braids to get a wavy crimped style that’s easy and fun. 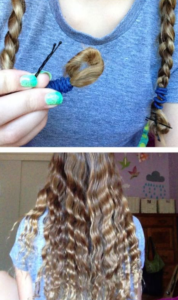 Braid damp hair into two three-strand braids. To avoid leaving a straight section of hair at the ends, twist and ravel the ends of your braids after you’ve tied them and secure with pins. 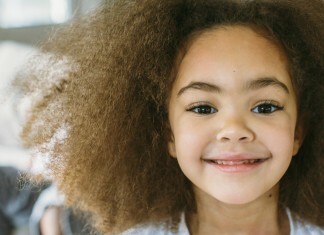 After you undo braids in the morning, hair will have a crimped texture that you can either leave as is or gently brush out to create a softer look. 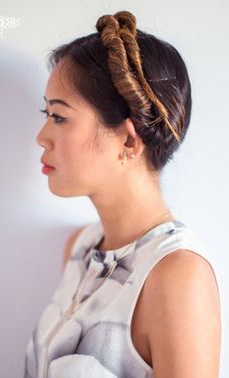 This is similar to the twisted crown curls style, but uses a rolled t-shirt instead of a headband. Because it’s placed on top of the head like a halo, this style gives you big curls that begin closer to the roots. 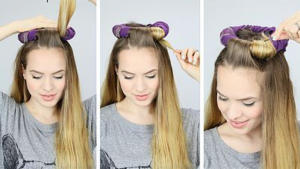 Wrap damp sections of hair around your t-shirt halo, then pin in place and leave until hair is dry. 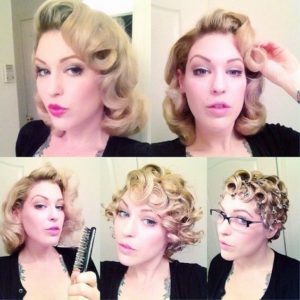 Pin curls can create a glamorous vintage style without the use of heat. Gather small sections of hair and coil together beginning at the ends, creating a circular shape. Secure each curl with pins or metal clips, then leave hair to set. Once clips are removed curls will be quite tight, and you can gently brush them out to create a soft vintage style. If you want a flat twist out style that has lots of thick texture, use bigger sections of hair and larger perm rods to set your style in place. This style is a good flat twist alternative when you’re short on time. Get soft, thick curls by dividing your hair into three or four sections and rolling each section around a regular sport sock. Tie the ends of the socks together and leave overnight. In the morning you’ll have easy curls without any awkward crimps or fly-aways. 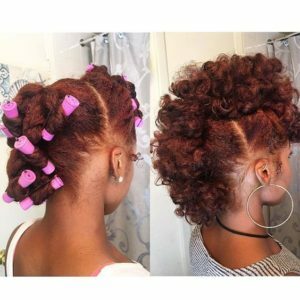 This twist-out style wraps sections of hair in standard two-strand twists, then uses perm rods to create extra definition at the ends. 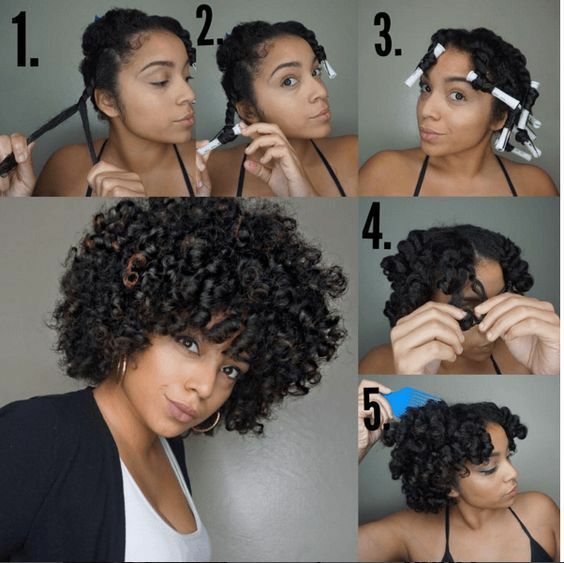 If you’re looking for a spiral curl shape that doesn’t begin right at the roots, try this loose rag curl method. Wrap sections of hair around rags (an old cut up t-shirt works well), stopping at around chin length. Unravel in the morning to reveal soft, loose rag curls. 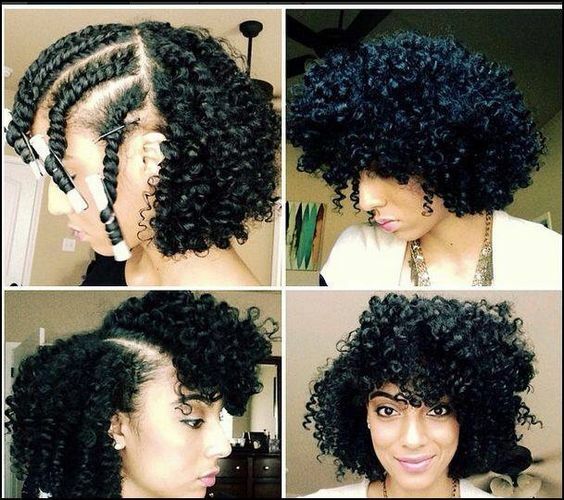 This long natural hairstyle utilizes several methods to get perfect no heat curls. 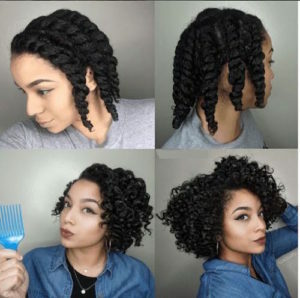 Begin using a flat twist method, then continue on with a two-strand twist, and finish the ends with flexible curl rods. This no heat style is great for very long hair, as it’s relatively easy to secure. 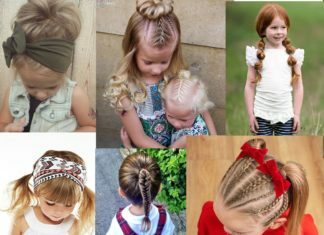 Divide hair into pigtails and tightly twist each section from roots to ends, then coil up tightly in buns at the base of the neck and secure with pins or elastics. 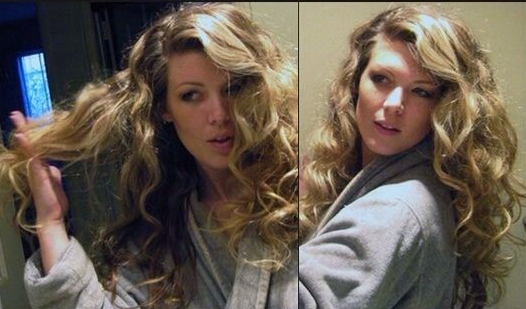 You’ll wake up with loose, beachy curls the following morning! Use a medium size of flexible perm rods to create spiral curls that have just the right amount of definition and bounce. Once you unwrap these curls, gently separate with your fingers to create more volume without destroying their texture. 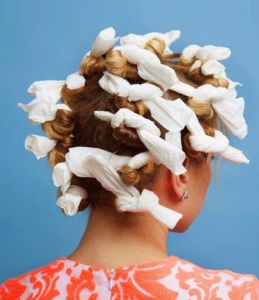 An easy version of rag curls when you don’t have any rags around, paper towel curls make use of a pretty standard household item. Roll sections of damp hair up in thin strips of paper towel, then tie the ends of the towel together to secure. 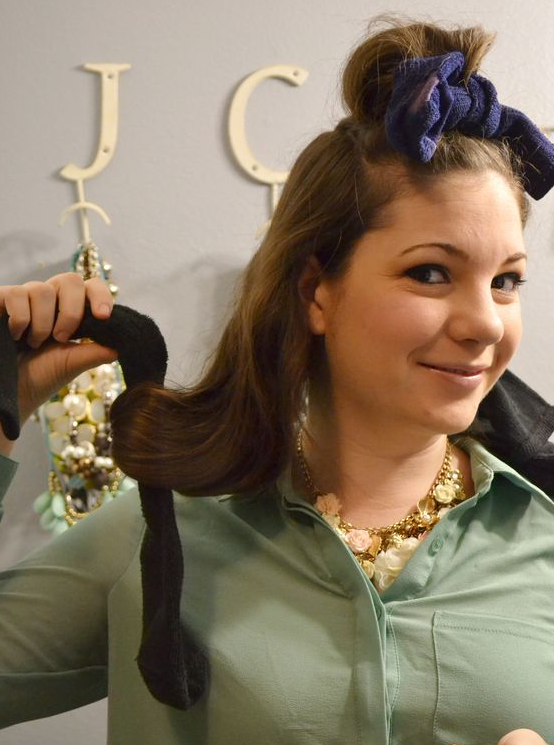 Wear overnight and unravel in the morning to find springy curls. This is one of the most comfortable no-heat curl styles to sleep on, and paper towel does a good job of wicking moisture from your hair. 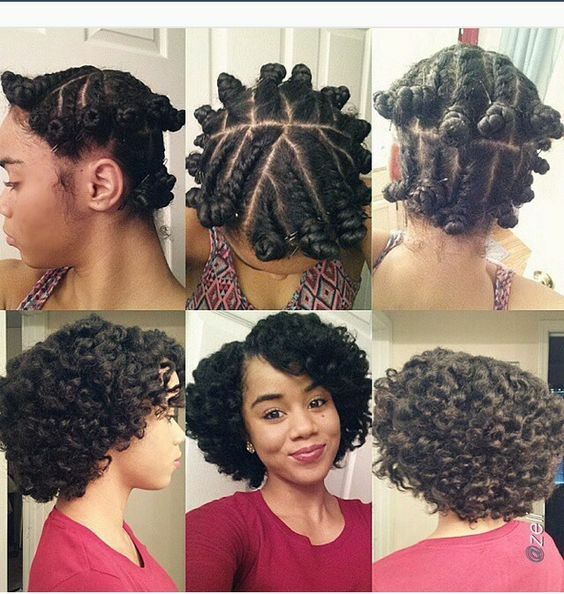 A nice alternative to twist out styles, this look uses three-strand braids to set hair. Rather than braiding right down to the ends, wrap the last few inches of your hair around a perm rod to add extra definition. This no heat style will take a little more time to set, but leaves you with natural looking tousled curls. Twist sections of damp hair from roots down to the ends, keeping in mind that larger sections will result in more loose curls. Next, wrap each section around itself into a twisted bun, and pin in place. 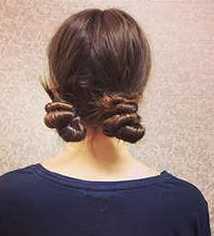 Sleep on twisted buns and gently unravel in the morning. Once you’ve unraveled your curls, gently brush them out to create a voluminous look with soft, natural texture. Instead of twisting hair out to the ends or using perm rods, this style finished flat twists with bantu knots. The finished product is a curly style with lots of volume and softer definition. As easy as it gets, these twisted pigtails can give you soft S-waves without having to pick up an iron. 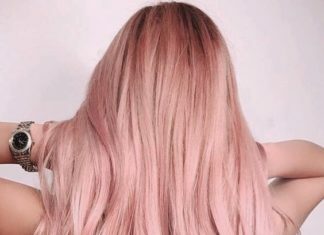 Simply divide damp hair in half and gather each section over your shoulder, then twist away from your face down to the ends. 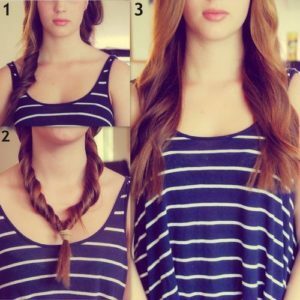 Once both sides are twisted, tie them together under your chin, and leave to set until hair is dry!